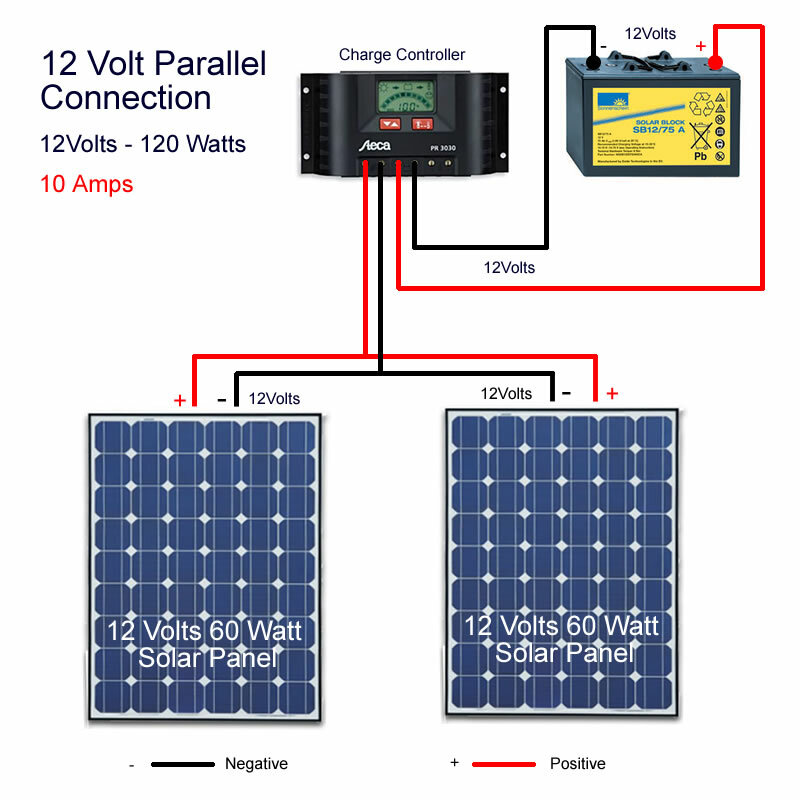 The diagram shows two solar PV panels connected in parallel so the voltage is the same. 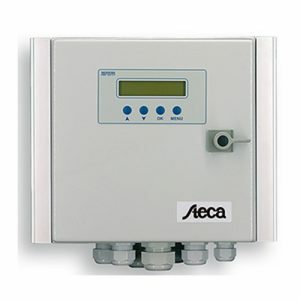 To calculate the power rating for a solar charge controller we need to calculate the current flowing in the circuits. 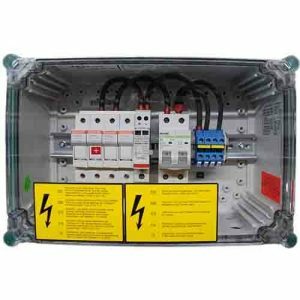 Current is always Power (Watts) divided by voltage (Volts) so in this example solar power system it’s 120 / 12 = 10 Amps. 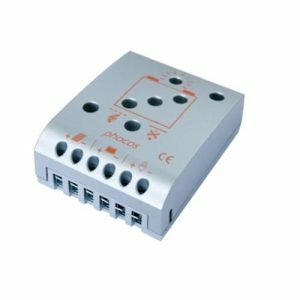 The Steca PR1515 is fine for this purpose as it is a 15Amp solar charge controller. The positive outputs of each panel are connected together as are the negative outputs. This can be quite tricky because the cable is quite thick. Combiner boxes are available to help with this.